Europe, a land known for its soaring beauty and cultural diversity, is also a land of incredible spiritual challenge. The vast majority of Europeans have turned their back on their Christian heritage, creating a dangerous spiritual vacuum. Yet in the midst of this challenge, there is a story of growing spiritual momentum among Europeans willing to trust God to bring an awakening to their continent. It is a story of vision, hope and substance. As American and European ministry partners come together, you can become part of that story. Momentum Europe is building a base of ministry partners who are serving to ignite spiritual awakening in Europe and Russia. 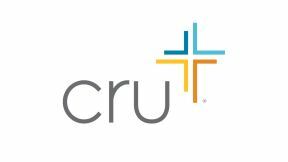 Working in partnership with nearly 2,000 Campus Crusade for Christ field staff across the continent, these partners are playing a major role in providing the resources and prayer support needed to reach 750 million Europeans with the good news of Jesus Christ. Your giving can make a difference. Thank you for partnering with us!